Spam Protect keeps your list clean. It will monitor your account and unsubscribe bad emails before they hurt your deliverability. These bad emails are primarily either invalid or fake signups that would have resulted in bounces or spam complaints. Even a small dose of bounces and complaints can have a huge impact on your ability to reach the inbox of subscribers that are actually interested in hearing from you. Agreeing to activate Spam Protect means we will immediately unsubscribe any bad emails currently on your list and then automatically unsubscribe any new subscribers you may get that are flagged as bad emails. A new, bad email will not even trigger the Welcome automation so your deliverability is protected and you never have to pay for a bad email. A few common questions are answered below but please reach out to Support if you have any additional questions. Which subscribers will be cleaned? Invalid emails and fake signups from people or spambots are the targets for Spam Protect. Spambots are automated computer programs that scour the internet for forms on websites to submit. A person may fill out your form with some fake data, such as test@example.com, or a spambot may fill out your form with some fake data, such as fbl@fakemail.org. Those two examples would have bounced because they are not actual inboxes capable of receiving email. Where things get tricky are when spambots fill out your form with a real email address of some unsuspecting person. That is the primary driver behind spam complaints here because that person did not actually sign up themselves so, naturally, they would think your email is spam. How do I activate Spam Protect? After clicking the activate button, the banner will change to show that list cleaning is in progress. Once complete, the banner will change to show the following and now you are free to send newsletters. How do I find cleaned subscribers? What if a real subscriber gets cleaned? We apologize in advance if this ever happens but, since spambots do submit real emails, there is a slim chance someone with a compromised email may want to subscribe to your newsletter. 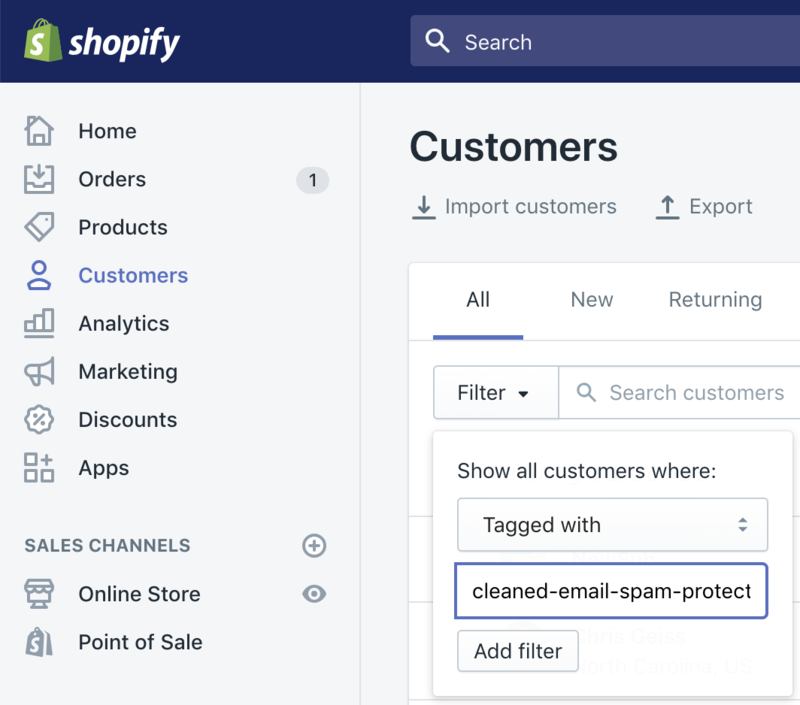 If you hear from a customer that says they never received your Welcome email and then you see the "cleaned-email-spam-protect" tag on their customer record, simply reach out to Support and let us know. We will mark them as allowed to receive your email and then they will never be cleaned by Spam Protect for your account again.